Recipe 4 of 5 is here! 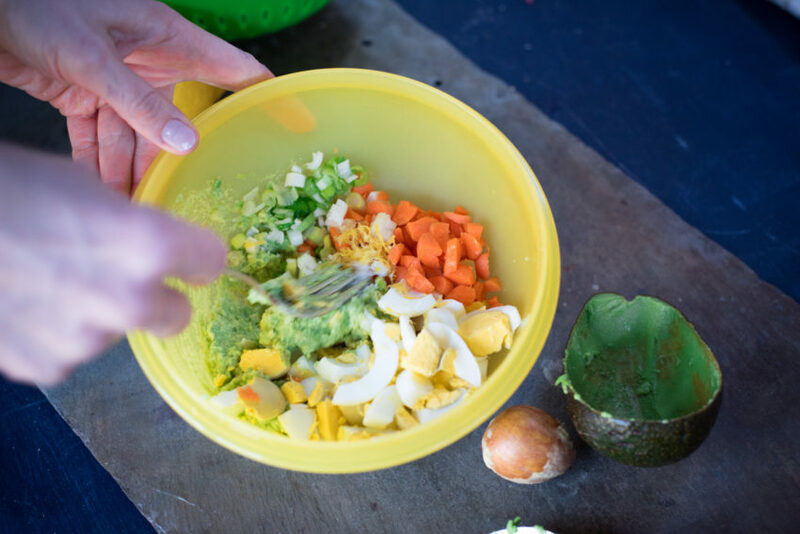 This is a series of meal prep using the nutritious, the budget-friendly, hard boiled eggs (speaking of, do you have a favorite way to hard boil them? Please, comment below!) 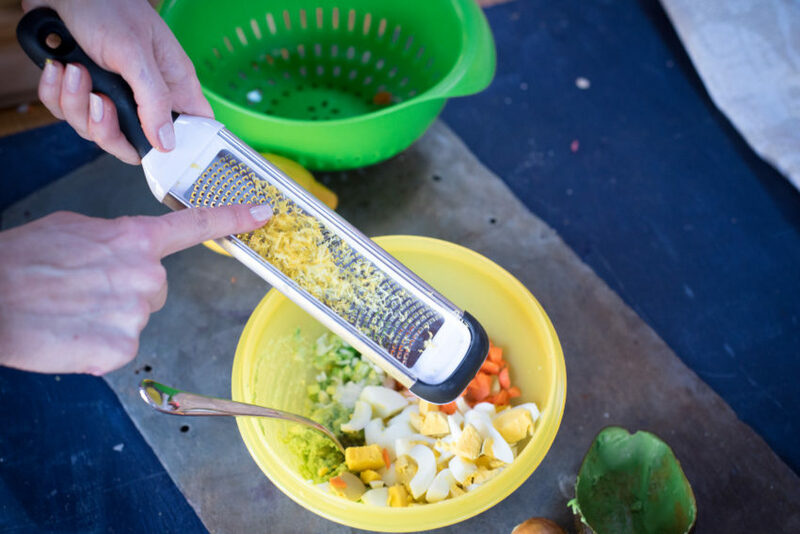 Growing up, we ate a lot of egg salad. It was one of my mom’s favorites – it still is. And it still tastes amazing when she makes it because of who she is. I’ve discovered the foods mom made, no matter how simple, cannot be matched. 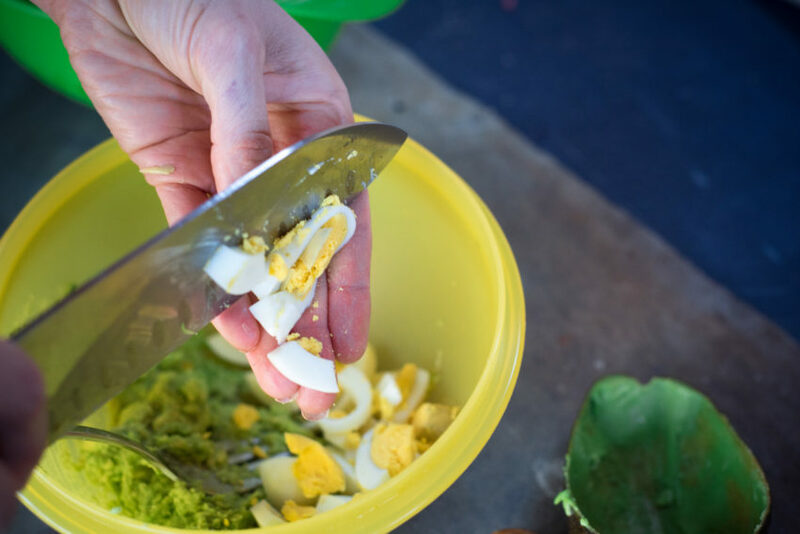 But this egg salad comes close. It’s packed with vegetables because we are always going to feel better getting more of those in. 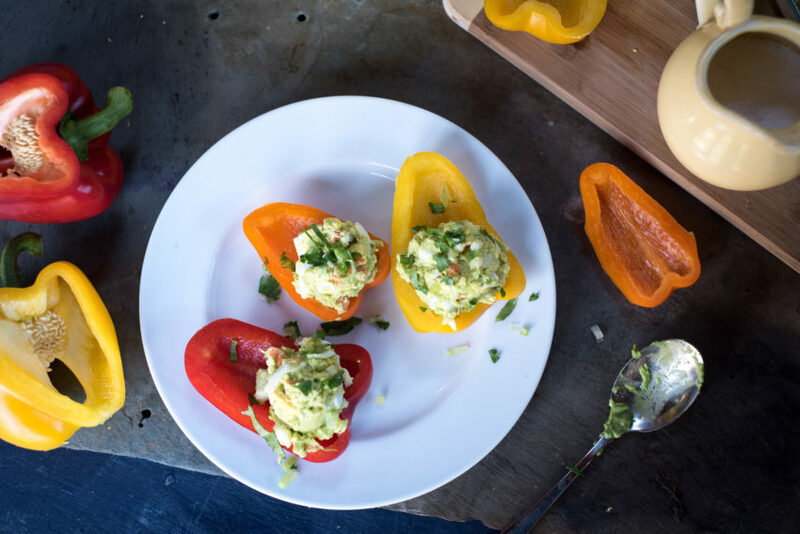 But first, it starts – not with mayo….but with the silky creaminess of ripe, golden and green avocado. Start to become a regular – almost daily – user of avocado, and you will notice you feel better. Your skin will be clearer, you will become more full and satisfied. 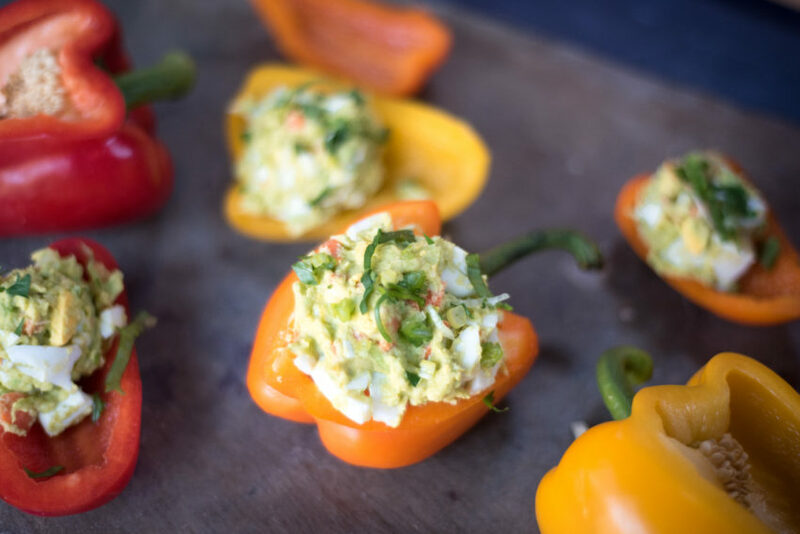 Lemon zest in egg salad is AMAZING. You must try it. Have you tried the other protein-prep recipes? Avocado Deviled Eggs, Veggie Noodle Ramen Jar, and Tomato Breakfast Stack. Don’t forget – if you make these, please tag me on your recipe photos! Facebook: Annessa Chumbley, RD. You can also connect with me on Instagram, Twitter, and Snapchat. I love to hear how your health and weight loss journey is going! I created this recipe for Albertsons Safeway, and I hope you LOVE it. 1. 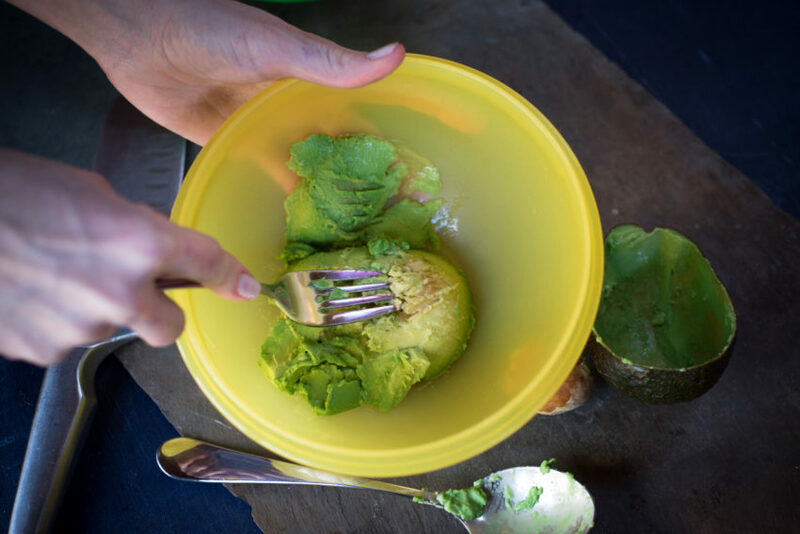 In a medium mixing bowl, mash avocado with the back of a fork. 2. Add remaining ingredients and fold gently until everything is mixed evenly. Best eaten immediately! – garnishing with radish slices adds a nice crunch! 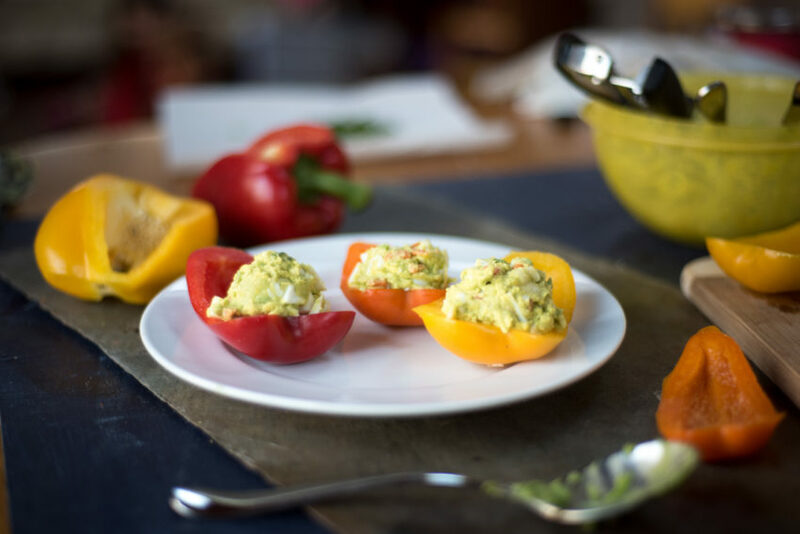 – add mustard for a delicious zip! 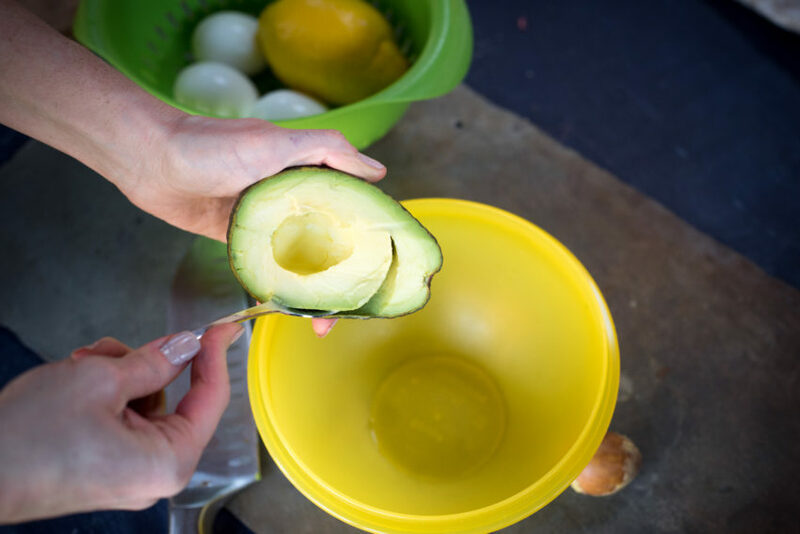 I wanted to write to you and let you know that I used and slightly changed up your avocado/egg recipe. I put some chicken broth in a skillet with spinach, kale, carrots, onions, celery, and salt & let it simmer a few minutes. 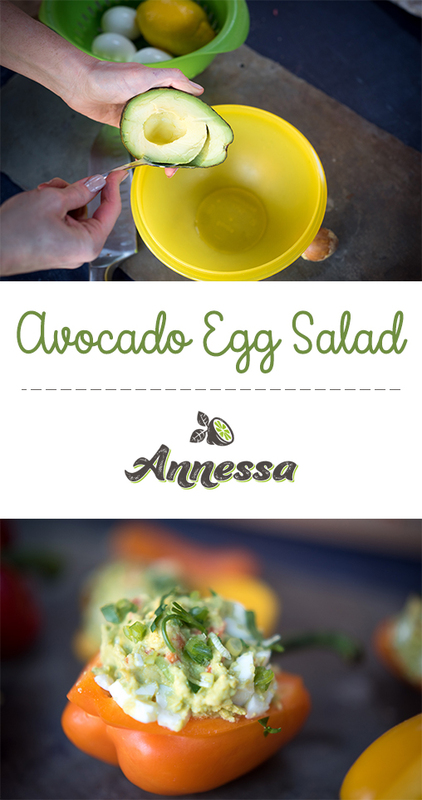 I then added it to my mixture of hard-boiled egg & avocado. It tasted amazing. I couldn’t believe it! Thank you for the wonderful idea! !